When we have only a few sizes or styles left of a given hat, we offer it at a significant discount to you. These hats are in perfect shape and are still part of our 100% Money Back Guarantee so shop with confidence. 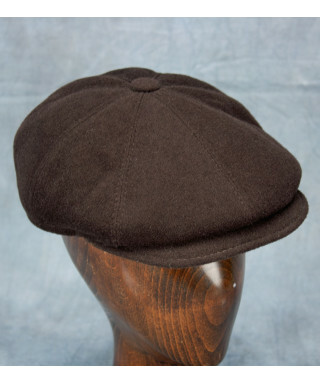 The classic Newsboy Cap in a luxurious blend of wool and cashmere available in Medium.